We, the youth of Mekong countries, strongly call for affirmation action by our leaders in ASEAN countries to create a friendly, safe environment, and ecological productivity for us the young people and children of this Mekong region. 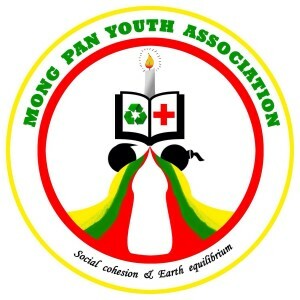 We, the Mekong Youth Assembly, an advocacy network of youth environmental groups and young activists, are networking among the youth organizations and individuals towards the protection of our child environmental and human rights. At all levels, the local, regional, and global, all states are rushing to develop economies without taking a full accountability to their people, especially the youth and children who can least protect themselves, from destructive development projects. For the past decade, we experience the negative impacts from development projects, such as hydropower dams, mining, river and land-grabbing. These destructive projects have caused several problems to our natures and our way of living. The exploitation of natural resources have also violated human rights, youth rights, especially children rights who are one of the vulnerable groups, as seen as relocation, forced labor, and their growing and learning environment have been destroyed. We experience and witness many fellow youths are being violated, to living in a polluted environment, suffering from contaminated drinking water, and were born disability from toxicity. Moreover, in voicing out these concerns, many young advocates are facing challenges and difficulties in protecting our rivers, forest, and beloved communities from human-induced environmental degradation. Many were suppressed by private companies and their governments. However, we have not yet seen any specific policies in responding or taking an accountability for the children. We, the group of young people of the Mekong and ASEAN region, strongly call for the creation of rights-based, inclusive, people-centered, youth and children-driven mechanism and policies. The practical approach must be established to improve the today situations, to remediate the past negative impacts, and to ensure the better future of all youth and children. We, the leader of the future, strongly call for ASEAN leaders to acknowledge these alarming situations of the well-being of our environment and the young people. ASEAN leaders must fulfill their obligation to ensure the well-being of their youth and children as follows. Children and youth have the right to participate in any decision-makings that involve the fate of their rivers, communities, and future. ASEAN states must ensure that children and young human rights defenders have freedom of expression in all aspects of any given development projects without any discrimination and they are protected by law. Ecological child rights (ECRs) committees must be established to investigate, monitor and make recommendations to all states in ASEAN. ASEAN and all states have to take a full accountability in any youth and child rights abuses in any development projects area. 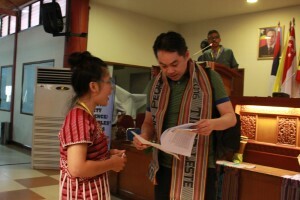 ASEAN states must set up a clear mandate (mechanism) in order to receive complaints about child and youth rights abuses in development projects from individuals, groups of people, and civil society. ASEAN states must adopt the Ecological Child Rights (ECRs) concept into related domestic laws and practices in order to protect child rights. Distinct needs of children namely, the right to survival, the right to development, the right to protection, and the right to participation, must be ensured. Including, the right to play in a safe natural environment and to be able to experience the animal world as the essential element of a learning process for children of today and tomorrow. ASEAN commission on Promotion and Protection of the Rights of Women and Children (ACWC) together with ASEAN Intergovernmental Commission on Human Rights (AICHR) must establish the ECRs’ committee and a safeguard to ensure that all development projects respecting the youth and child rights. All private and state development projects must comply the ECRs’ safeguard in operating any domestic or trans-boundary development schemes. 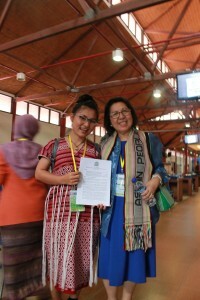 All ASEAN states are obligated to protect the children as well as youth who are their citizens by legislating private companies to either apply the Child Right Risk Assessment in their Environmental Impact Assessment (EIA), or Children Rights and Business Principles (CRBP), or Social Impact Assessment (SIA), or conduct a Child Right Risk Assessment separately as prior to be given an approval to operate any development projects. The Mekong river and Salween river are international rivers, any development projects involved in these rivers will pose trans-boundary impacts, therefore, any development projects, (e.g., hydropower dams) on these rivers will require a co-working group or an agency in monitoring any cross-border impacts toward children and also youth, investigating and protecting ecological child rights (ECRs). All development projects must engage youth and children in all decision-making procedures and at all levels. Together, youth and Children’s concerns, suggestions, and recommending plans for their desire development, community, country, and the region, must be taken into account. We, the young people today and the leaders of tomorrow, are reminding those leaders who are in power that you are our fathers and mothers who do not inherit the Earth from your ancestors solely, but you borrow it from us, your children. ASEAN leaders must make sure our mother earth shall be returned to us with prosperous life elements and as a safe and desirable ‘home’. ASEAN states must always respect and protect children livelihoods. We advocated our statement with ASEAN Intergovernmental Commission on Human Rights (AICHR), representative of Malaysia. Thank you all Mekong Youth Assembly’s partner for joint statement.